In January 2011, an Assistant United States Attorney in Massachusetts’ Internet and Computer Crimes Unit was assigned a case from MIT. For months, a guest on the MIT computer network had been downloading much of the online journal database JSTOR; the magnitude and speed of downloading had disrupted JSTOR servers and caused MIT to lose access to the database for three days. Suspecting cybercrime, MIT police had asked for assistance from local authorities. It had become a federal case. The suspect had been traced and apprehended. The man was 24-year-old Aaron Swartz, an Internet prodigy who had worked on the web feed known as RSS 1.0, the social news website Reddit, and other tech projects since his early teens. The prosecution offered a plea bargain involving three months imprisonment, but Swartz refused to plead guilty to any felony counts. Pre-trial negotiations intensified when the prosecution learned of the Guerilla Open Access Manifesto, authored in part by Swartz, which declared that “we need to take information, wherever it is stored, make our copies and share them with the world.” In July 2011, Swartz was charged with wire fraud, computer fraud, unlawfully obtaining information from a protected computer, and recklessly damaging a protected computer; the maximum sentence was 35 years in prison, but sentencing guidelines suggested that Swartz would face either probation or five to six years in prison. A year later, a superseding indictment increased the counts. Other plea bargains were offered; the defense came back with different proposals; the negotiations reached a stalemate. Both parties had played the bargaining game and failed. Swartz would go to trial, a prospect costly for each side, and if Swartz were found guilty, the judge might issue a sentence that failed to meet the objectives of either side. Then, two years after Swartz’s arrest, months before the trial proceedings would begin, Swartz committed suicide. Did the prosecutors make the best decisions they could have at the time? When their plea bargain strategy failed and a suboptimal deal seemed likely, should the prosecution have changed course? What would have been the repercussions of drastically changing their strategy? The case study “Prosecutorial Discretion in Charging and Plea Bargaining: The Aaron Swartz Case” explores the logic behind the controversial prosecutorial discretion in Swartz’s case. Participants discuss prosecutorial decisions at five turning points: the initial charges, the pre-indictment plea offer, the indictment, subsequent plea offers, and the superseding indictment. Professors Adriaan Lanni and Carol Steiker, who developed this case for their Adjudication course at HLS, chose to teach charging and plea bargaining with the case study method because of the reflection and perspective that narratives provide. By taking participants through the decisions in the order and context in which they occurred, the case study sidesteps hindsight opinions. Participants do not merely cast judgment on the decisions made—they are asked to inhabit the pressured environment facing the prosecution and think through how they would make those difficult decisions themselves. 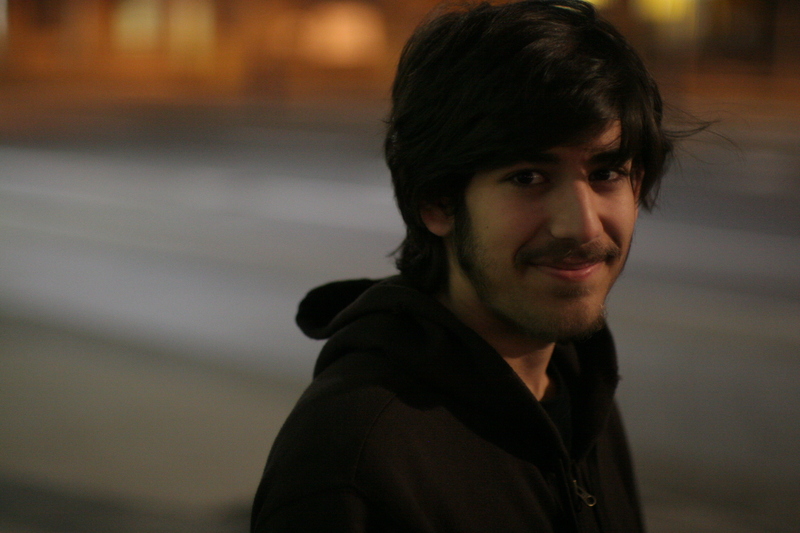 The Aaron Swartz case study affords law students a lasting example to guide their philosophy of prosecution. At the end of the class discussion, participants consider if there are systemic flaws in our nation’s criminal justice, and what place prosecutorial discretion should have in that system, or if it perhaps had no place here. “Prosecutorial Discretion in Charging and Plea Bargaining: The Aaron Swartz Case” and related teaching materials are available free of charge through the Case Studies website. Elizabeth Moroney is the Case Studies Program Editorial Assistant and an author of the case.